"Paired with rose and frankincense, oud is the fragrance’s key accord. 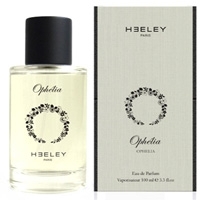 It is introduced with fresh..."
"This heady perfume is dominated by a blend of jasmine and tuberose absolutes that bring out the..."
"Coccobello opens with palm leaf’s green notes intertwined with a salty note. The fragrance’s..."
"Almond is quite delicate here, and its scent is more botanical than sweet. The rest of the..."